No other book of the New Testament has attracted as much attention from commentators as the Fourth Gospel. It has stirred minds, hearts, and imaginations from Christianity's earliest days. 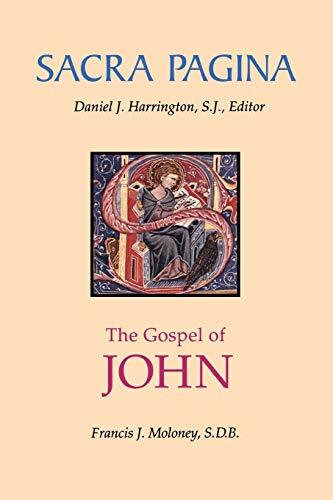 In The Gospel of John, Francis Moloney unfolds the identifiable "point of view" of this unique Gospel narrative and offers readers, heirs to its rich and widely varied interpretative traditions, relevance for their lives today. Includes an updated bibliography as an appendix. Francis J. Moloney, SDB, is Foundation Professor of Theology at Australian Catholic University, Melbourne. He is a Fellow of the Australian Academy of the Humanities and a Member of the Order of Australia. He is the author of numerous books including The Gospel of the Lord, Beginning the Good News, and A Hard Saying: The Gospel and Culture published by Liturgical Press. Francis J. Moloney, SDB, AM, FAHA, is the professor of New Testament at The Catholic University of America. He is the author of numerous books including The Gospel of John of the Sacra Pagina series published by Liturgical Press.